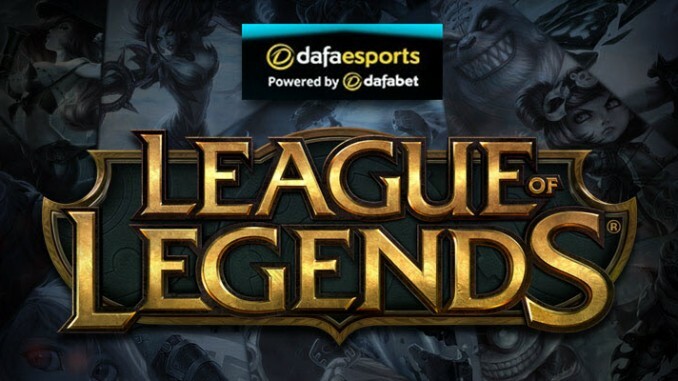 The League of Legends Championship Series Spring Play-offs have reached the semi-final stage. Two fascinating tussles lie in store with neither looking entirely predictable. Ultimately there is Mid-Season Invitational qualification on the line for the winner of the play-offs, not to mention the US$100,000 first prize, so the pressure is now on. The first semi-final is an anticipated match-up with second seeds Cloud9 facing third-seeded Team SoloMid. Despite the seedings, it is TSM who are the marginal favourites with Dafabet offering them at 1.884 to Cloud9’s 1.934. Cloud9 have performed better than expected following the departure of Jensen in the off-season, with Nisqy settling into his role a few weeks into the season. With the best Top-laner in the region, Licorice, on the team, Cloud9 are full of experienced players who know how to handle this type of pressure, with many having attended the World Championship last year. As always with this team, they do have a willingness – more than any other top squad in North America – to bring in substitute players, and there is the potential to bring out Blaber if they are looking to punish TSM in the early game where they have previously struggled. TSM took down a feisty Echo Fox side in the quarter-finals to advance to this stage, with Jungler Akaadian having a massive impact. Continually picking up the first kill of the game and setting up his team for success, Akaadian has already proved the doubters wrong and has a shot at guaranteeing his starting spot moving forward. Remember that Akaadian was only put into the starting role due to Grig’s health issues, but at this point it seems unlikely TSM would make a change even were Grig back to 100 per cent. However, as is always the case with TSM, Bjergsen is the one they turn to in pressure moments and he more than carried the load in the quarter-final win. Top-laner Broken Blade is given a difficult task having to go up against Licorice, but given his stellar plays over in the TCL previously, he will be looking to not just go even, but beat out the best in the league. The other semi-final sees top-seeded Team Liquid start hot favourites against fourth seeds FlyQuest. Liquid were the runaway favourites during the first half of the split, appearing to toy with lesser competition and dominate even the toughest of foes. However, whether it be from taking their foot off the gas after securing a top-two finish early or adapting poorly to the new patch, Liquid were a shell of themselves down the stretch. The talent still remains in this team but they now are under some pressure to live up to their early-season hype, especially given how much money it took to put together this roster. At times quiet on the scoreboard, Jungler Xmithie will be a critical part to any success, as the savvy veteran looks to maintain the tempo of the game for his squad. FlyQuest have been an interesting story all year long, finding the star potential they needed in rookie Top-laner Viper, who continues to blow away expectations. Viper is a versatile player with no fear against even the greatest of foes and that contributed to FlyQuest’s victory over Team Liquid in the latter half of the season. This is a brilliant opportunity for Pobelter to gain revenge as he goes up against his former squad. Pobelter has been a guiding voice for this squad and his match-up against Jensen is sure to be a massive focus point. However, given the general consistency of the other team members, the player with the highest boom-or-bust potential entering this week is WildTurtle. If WildTurtle can get any sort of advantage while in the 2v2 alongside JayJ, FlyQuest could upset the odds and find a path to victory. They are 7.300 to claim the win – a price which looks big – with Liquid at 1.098.